A Year of Being Here: William Stafford: "Just Thinking"
Got up on a cool morning. Leaned out a window. for awhile. Some dove somewhere. count for a lot—peace, you know. stirring, no plans. Just being there. This is what the whole thing is about. 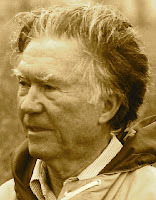 "Just Thinking" by William Stafford, from The Way It Is: New & Selected Poems. © Graywolf Press, 1998. 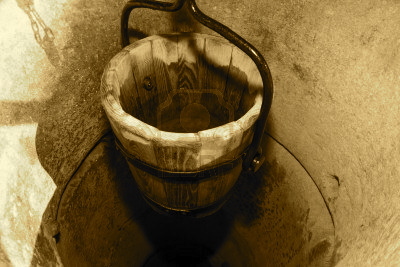 Photograph: "Traditional Oaken Bucket in Old Stone Well," by Bidouze StÃƒÂ©phane [sic], (originally in color).